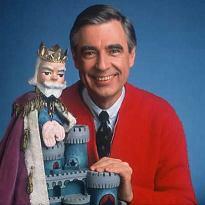 The more I hear and read about Fred Rogers, the more I am saddened by the fact that I never got to meet the man. His focus on helping children develop into the best people they could be, his efforts to help them understand the world around them and their new feelings and experiences as a part of that world were trail blazing, understated and worthy of praise beyond words. As a kid, I didn’t get. As a parent I do. I bring this up because my friends over at the Copyblogger blog, specifically the author Karl Staib, wrote a wonderful post today about how bloggers can improve their blogs by really caring about their readers as much as Fred Rogers cared about the children he worked with and broadcast to. To me, considering the high esteem with which I hold the work of Fred Rogers, that’s a tall order but its wonderful advice none the less and its something I will work towards. I have told you before in this forum how much I appreciate your subscription here but it bears repeating – thank you! Of special note in the Copyblogger post is the wonderful video, also posted here previously, featuring Mr. Rogers speaking before Congress about a funding bill for PBS in the 60’s that President Nixon wanted cut. His was not a very friendly audience but Fred Rogers spoke with the calm, rationale manner he always did, spoke from the heart (nary a script in sight) and won the battle and the hearts of Washington, D.C. on that day. To me, that was reality TV! I hope you’ll read the post and watch the video and if you have a blog, take the advice.